Mixed shapes and sizes available as Naturals, Fluorescents or Bloodworm Red. 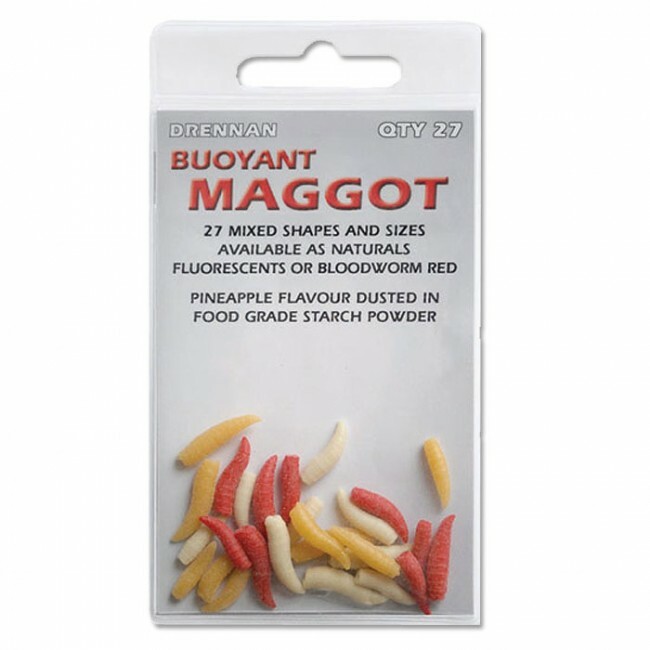 The three different sizes of Buoyant Maggot can be used on a wide range of hooks producing effective baits which are sinking, critically balanced or popped up. They are also effective fished in conjunction with live maggot or as combination bait with real or artificial sweetcorn. Ideal for Carp, Tench and Bream. The pineapple flavour is a proven attractant which can be boosted or even-ridden by immersion in more concentrated flavours.